Less is more on St. John. It's the smallest, quietest, least populated and most secluded of the three U.S. Virgin Islands, where even the residents of neighboring St. Thomas and St. Croix come to get away from it all. That's not to say there aren't plenty of tourist-friendly beaches (all are open to the public) and frosty blender drinks. Shore excursions run the gamut from snorkeling to eco-hikes. And there's shopping, of course, though truth be told local handicrafts hold their own against mass-produced duty-free goods -- St. John's tranquility has transformed it into an artists' community of sorts, and several have stores in town. But much of the development is confined to Cruz Bay, St. John's only real town. Otherwise, St. John's unspoiled beauty is its main draw -- the Virgin Islands National Park makes up two-thirds of the island. (The Rockefeller family donated the land in 1956.) Nestled within the park are Trunk Bay and Cinnamon Bay, each offering active pursuits in pristine waters. Sailing, snorkeling and diving are top attractions, though kayaking, stand-up paddleboarding and scuba are increasingly popular. Though the island is only about nine miles long, it takes about an hour to drive from Cruz Bay to the east end along winding roads. St. John rewards those who explore on foot; the island is networked with the national park hiking trails that lead to historical sites and hidden coves. If your ship is docked in St. Thomas, your day spent here will feel like a break from the madding crowds -- and you'll want to return again and again. 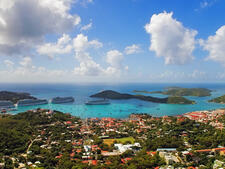 Cruise ships can't dock directly in St. John. If your ship calls at St. John, you'll be anchored and tendered ashore to the National Park dock. Most cruisers, though, come to St. John by passenger ferry from a cruise ship that is docked in nearby St. Thomas. There are two places on St. Thomas to catch the ferry to St. John. Red Hook is a 15-minute ride (about $6) across the sound from the east end of St. Thomas to Cruz Bay; ferries leave every hour on the hour. Charlotte Amalie is a longer and usually rougher ferry ride that is more limited, schedule-wise; boats leave downtown Charlotte Amalie harbor at 10 a.m. and 1 p.m., returning from Cruz Bay at 11:15 a.m. and 3:45 p.m. Plus, that route will run you twice as much. A multitude of activities and dining opportunities are available within walking distance of the ferry dock in downtown Cruz Bay, a good anchor point. 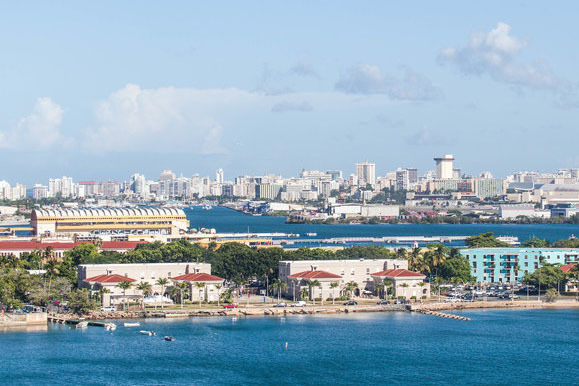 Just east of the dock is Wharfside Village, where you'll find powerboat rentals, grills and bars as well as stone-walled shopping haven Mongoose Junction. Access to the Northshore beaches, such as Trunk Bay and Cinnamon Bay, are a 15-minute taxi ride. Hurricane Irma passed over the Virgin Islands in September 2017 and destroyed a huge chunk of the national park in St. John. Before planning to hike or embark on any activity along a beach or in the wilderness, be sure to check with the National Park Service on what's open and safe. Some restaurants and beach concessions are still working to come back, a year later. On Foot: The tender or ferry drops you in the heart of eminently walkable Cruz Bay. By Taxi: Safari (open air) cabs wait at the ferry dock and at the major beaches and hotels. Taxis are generally found at the ferry terminal, where the boats that ply the waters between Charlotte Amalie/Red Hook and St. John tie-up; it's about a five-minute walk from the tender dock. By Car: Local rental car agencies are clustered mostly around the car ferry area. 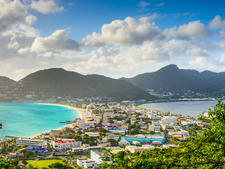 Among those within easy walking distance are St. John Car Rental (340-776-6103) and L & L Jeep Rental (340-776-1120). Rates start at $80 per day, $75 off-season. Editor's note: Locals drive on the left side of the road in St. John. Keep this in mind before renting a car. Rentals go quickly; if you are certain you want to rent a car (most are Jeeps), it is advisable to reserve one before leaving home. 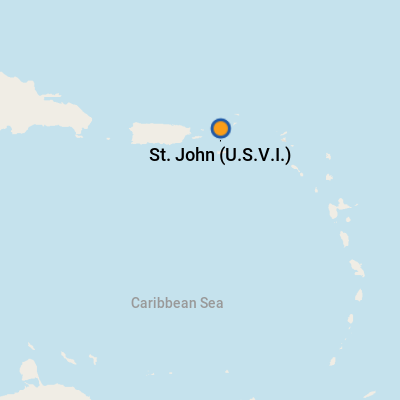 The U.S. dollar is used throughout the Virgin Islands, including St. John, but foreign currency can be exchanged at major banks; an ATM is located in First Bank, two blocks north of the ferry dock. Locals speak English, often with a Creole accent. As befits an island that was once home to Rockefellers, St. John has its share of fine restaurants. However, most of them aren't open for lunch. That's OK; you won't go away hungry. There are beach bars and fish shacks to spare. St. John Brewers Pub is a fantastic place to sample some local beer and munch on chicken wings, pulled pork nachos, tropical poppers, burgers and more pub food with an island twist. Located in Mongoose Junction, the brewpub is open seven days a week, 11 a.m. to midnight. If you end up on the other side of the island, by Coral Bay, check out Skinny Legs, an offbeat but family-friendly bar and restaurant serving a variety of burgers, sandwiches and salads. (9901 Estate Emmaus, open from noon daily; cash only.) Note that Skinny Legs seasonally closes its doors between the end of August through October. As for the island's drink of choice, bushwackers -- potent tropical drinks consisting of rum (light and dark), creme de cacao, cream of coconut, Kahlua and Bailey's Irish Cream -- are served everywhere. However, Woody's Seafood Saloon (across from First Bank, from 11 a.m.) is the classic place. Cruz Bay is full of upscale boutiques, most of which are one of a kind. At the atmospheric, stone-walled Mongoose Junction (to the left of the ferry dock), don't miss Bougainvillea Boutique for chic bathing suits, linen fashions and straw hats. Bamboula, which sells everything from bed linens to keepsakes from all over the world, is St. John's most eclectic shop. Also check out Donald Schnell Pottery for hand-blown glass, kaleidoscopes and wind chimes, and Sea Leathers for belts and accessories made out of fish skin. Adjacent to Margarita's (across from the dock) is St. John Editions, which has fabulous fashions including Lilly Pulitzer, Koko and Flax. Dreams and Dragonflies, at Wharfside, features local art, funky jewelry and hand-painted clothing. Verace is an exquisite jewelry boutique with distinctive, handmade pieces by artists from around the world. Out of the way but worth the half-block stroll is Pink Papaya (in the Lemon Tree Mall), an artsy shop specializing in boldly colored Caribbean handicrafts. Support the continued preservation of St. John by buying a box of made-in-the-islands Bush Tea at the Friends of Virgin Islands National Park store in Mongoose Junction.